Panasonic has expanded its line of digital phones with new models and touch screens. 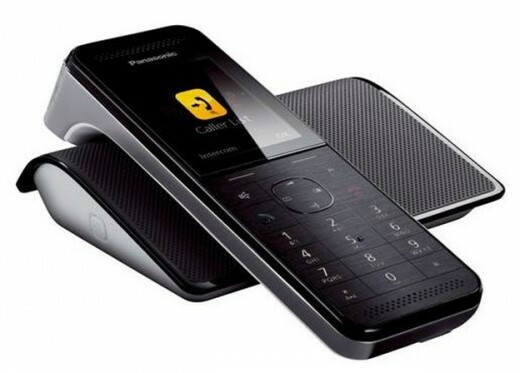 Panasonic has introduced four new products in the premium range of digital cordless telephones (DECT). PRS KX-110, KX-110 PRW, KX – PRX110 and KX – PRX150, of which the last two have a smartphone model headphones. KX – PRX150, combines DECT interface for fixed network and mobile network 3G/GSM with the Android operating system. Model KX – PRX110 has DECT interface for fixed line and runs on the Android operating system. KX – PRX150 you can use at home as well as fixed and outside the home as a mobile phone. Panasonic claims that the KX – PRX110 are without a mobile network interface, and KX-PRS110 and KX-PRW110 are the most suitable models for use at home and in the office. In addition to conventional voice communications over fixed networks, devices offer the Android 4.0 operating system, and besides the DECT interface, they have Wi-Fi/Bluetooth interface with the headset. All models are lightweight and compact, they can receive incoming calls from the fixed network until you have a DECT signal. KX – PRX150 supports DECT interface to communicate with fixed and mobile networks 3G/GSM. Common phone book can be shared with both networks, fixed and 3G/GSM network, so there is no need to enter contacts separately. It also means that when you receive an incoming call, the caller information are also visible on the mobile and the fixed network. Also, when you are away from the office, home, workshop or generally outside the range of fixed line, turn off the DECT function to avoid unnecessary energy consumption. Upon returning home, office or workshop, KX-PRX150 automatically connects to the database and notifies you of missed calls. PRX150 is also suitable for small businesses, since the handset can be used as a mobile phone. As with other DECT phones, it is possible transfer of incoming calls and talks “handset on handset”.